King is back with another Candy Crush game, and it’s called Candy Crush Jelly Saga. 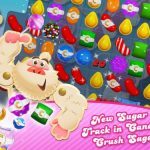 The game is available for Android and iOS devices, like previous Candy Crush titles, and it’s chock full of new features. The main mechanic remains the same – you’ll have to match three or more pieces to clear the board, and speed up that process by matching four or more to create special candy. But you will also be dealing with Pufflers, the frosting the Pufflers hide in, and last, but not the least, boss fights. And there’s no “boss” more deadly in this game than the Jelly Queen. Want to get rid of Jelly Queen without breaking much of a sweat? 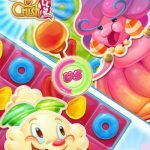 Yes, she may be a boss character, but with our Candy Crush Jelly Saga tips and tricks you might actually end up beating her, and with little effort at that. 1. Laying The Groundwork – How Does It All Start? 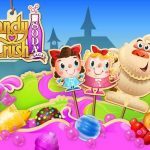 One of the new features of Candy Crush Jelly Saga is the requirement that you have to spread as much jelly as possible on the board and fulfill the requirements found on the upper right hand side of your screen. You should also take note, though, that while you’re trying to match three or more pieces, the Queen is doing the same in an effort to throw you off. 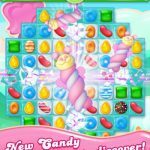 That’s how it all works in Candy Crush Jelly Saga, and levels featuring the Jelly Queen can tend to be much more challenging than they usually are. When making matches in this game, you should make sure that you’re focusing on those matches that already have your jelly present. Do not, and we repeat, do NOT, use the Queen’s jelly even if it’s right out there in plain view; that’s going to make things very, very challenging for you in this game. But there are also situations where your hide may be saved if you had accidentally made matches with the Queen’s jelly; this would be where your match has your jelly and that of the Queen. 3. How To Stun The Jelly Queen? Yes, it is possible for players to stun the Jelly Queen, and that can be done by creating a match with a special candy. So what else can we tell you about stunning the Jelly Queen and how it works? If you’re able to stun her thrice in a row, that will give you a much-needed advantage; the Queen will lose three moves aside from being stunned, and your next move will be a special one that could cause a devastating impact on the board. You can pull off incredibly awesome moves in this game when playing matches that involve at least two special candies, so we suggest creating a lot of special candy. But don’t do this too often, as the Queen could take advantage of that and use as much of your candy to help her win. Even special candy/pieces that may seem useless for the given situation (and many others before it) are better than having no special pieces at all. That’s it for now, as far as our Candy Crush Jelly Saga tips and tricks are concerned. Be sure to head over to our previous Candy Crush Jelly Saga guides, that explain you how to get more Pufflers in the game and also take a look at our general gameplay hints.